It’s that time again: time to choose your Book of the Month club selection(s) for July. I’ve been trying rally hard to catch up on my previous picks and only get ones I’m genuinely interested in. Last month, I picked Book of Essie and actually read it before the month was out. That might genuinely be a first. I also have the Kiss Quotient downloaded and will read that ASAP. So this month, what will I pick? 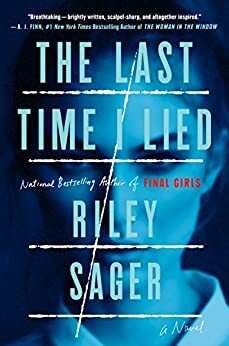 I already read The Last Time I Lied and absolutely loved it. if you’re looking for a thriller, pick that one no question asked. I’m leaning towards Spinning Silver because it was so highly sought after in the ARC trading world, so it must be interesting. 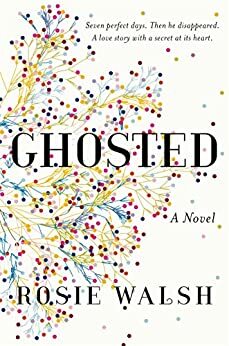 Ghosted also sounds interesting though! When Sarah meets Eddie, they connect instantly and fall in love. To Sarah, it seems as though her life has finally begun. And it’s mutual: It’s as though Eddie has been waiting for her, too. Sarah has never been so certain of anything. So when Eddie leaves for a long-booked vacation and promises to call from the airport, she has no cause to doubt him. But he doesn’t call. Sarah’s friends tell her to forget about him, but she can’t. She knows something’s happened–there must be an explanation. Minutes, days, weeks go by as Sarah becomes increasingly worried. But then she discovers she’s right. There is a reason for Eddie’s disappearance, and it’s the one thing they didn’t share with each other: the truth. Everyone says the Elders family are nothing but cheats, thieves, and convicts—a fact nineteen-year old Jamie Elders has been trying desperately to escape. 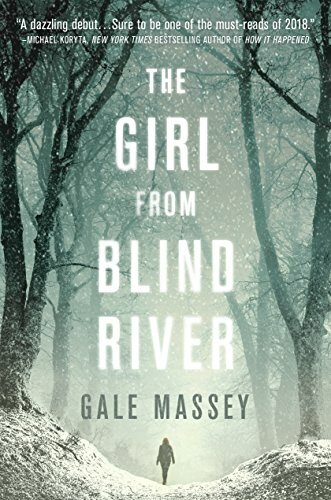 She may have the natural talent of a poker savant, but her dreams of going pro and getting the hell out of the tiny town of Blind River, New York are going nowhere fast. Especially once she lands in a huge pile of debt to her uncle Loyal. At Loyal’s beck and call until her debt is repaid, Jamie can’t easily walk away—not with her younger brother Toby left at his mercy. So when Loyal demands Jamie’s help cleaning up a mess late one night, she has no choice but to agree. But disposing of a dead man and covering up his connection to the town’s most powerful judge goes beyond family duty. When it comes out that the victim was a beloved athlete and Loyal pins the murder on Toby, only Jamie can save him. But with a dogged detective on her trail and her own future at stake, she’ll have to decide: embrace her inner criminal, or defy it—and face the consequences. Miryem is the daughter and granddaughter of moneylenders, but her father’s inability to collect his debts has left his family on the edge of poverty—until Miryem takes matters into her own hands. Hardening her heart, the young woman sets out to claim what is owed and soon gains a reputation for being able to turn silver into gold. When an ill-advised boast draws the attention of the king of the Staryk—grim fey creatures who seem more ice than flesh—Miryem’s fate, and that of two kingdoms, will be forever altered. Set an impossible challenge by the nameless king, Miryem unwittingly spins a web that draws in a peasant girl, Wanda, and the unhappy daughter of a local lord who plots to wed his child to the dashing young tsar. But Tsar Mirnatius is not what he seems. And the secret he hides threatens to consume the lands of humans and Staryk alike. Torn between deadly choices, Miryem and her two unlikely allies embark on a desperate quest that will take them to the limits of sacrifice, power, and love. 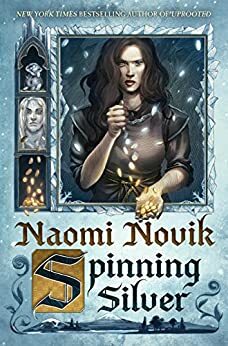 Channeling the vibrant heart of myth and fairy tale, Spinning Silver weaves a multilayered, magical tapestry that readers will want to return to again and again. In the summer of 1951, Miranda Schuyler arrives on elite, secretive Winthrop Island as a schoolgirl from the margins of high society, still reeling from the loss of her father in the Second World War. When her beautiful mother marries Hugh Fisher, whose summer house on Winthrop overlooks the famous lighthouse, Miranda’s catapulted into a heady new world of pedigrees and cocktails, status and swimming pools. Isobel Fisher, Miranda’s new stepsister—all long legs and world-weary bravado, engaged to a wealthy Island scion—is eager to draw Miranda into the arcane customs of Winthrop society. But beneath the island’s patrician surface, there are really two clans: the summer families with their steadfast ways and quiet obsessions, and the working class of Portuguese fishermen and domestic workers who earn their living on the water and in the laundries of the summer houses. 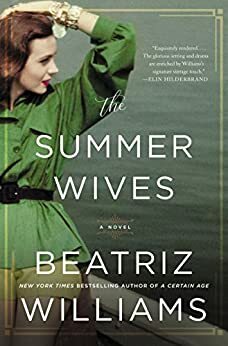 Uneasy among Isobel’s privileged friends, Miranda finds herself drawn to Joseph Vargas, whose father keeps the lighthouse with his mysterious wife. In summer, Joseph helps his father in the lobster boats, but in the autumn he returns to Brown University, where he’s determined to make something of himself. Since childhood, Joseph’s enjoyed an intense, complex friendship with Isobel Fisher, and as the summer winds to its end, Miranda’s caught in a catastrophe that will shatter Winthrop’s hard-won tranquility and banish Miranda from the island for nearly two decades. Now, in the landmark summer of 1969, Miranda returns at last, as a renowned Shakespearean actress hiding a terrible heartbreak. On its surface, the Island remains the same—determined to keep the outside world from its shores, fiercely loyal to those who belong. But the formerly powerful Fisher family is a shadow of itself, and Joseph Vargas has recently escaped the prison where he was incarcerated for the murder of Miranda’s stepfather eighteen years earlier. What’s more, Miranda herself is no longer a naïve teenager, and she begins a fierce, inexorable quest for justice for the man she once loved . . . even if it means uncovering every last one of the secrets that bind together the families of Winthrop Island. Which book will you choose this month?